When it comes to investing, there are dozens of different routes to take. Each route will work for someone. However, many routes have the potential to burn through more of your funds than you want. 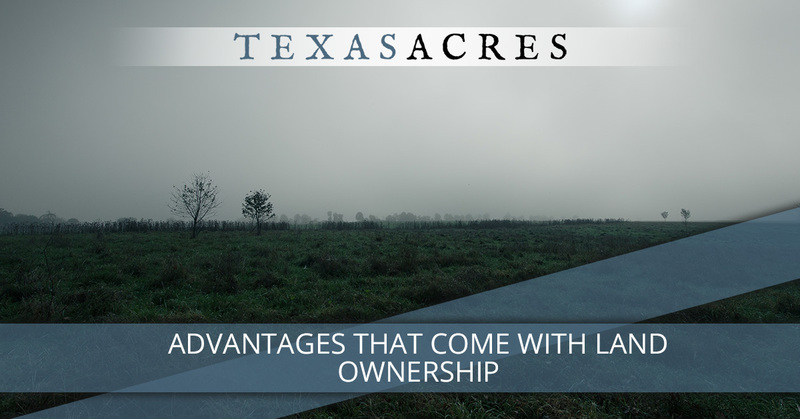 At Texas Acres, we offer a uniquely advantageous route to people ready to invest in land. Our owner financed land opens many investment doors, and we want to discuss just why it should be on the top of your investment list. You have an investment that won’t break the bank. For instance, many people take the building route and invest in commercial or residential structures. That means they get to deal with leaking roofs, broken furnaces, toilets, lawn care, mold, bugs, and all different flavors of tenants. The rural land sits there and basically takes care of itself until you decide to build on it or sell it. You can leave the property competition behind. Being a buyer in any sort of real estate can feel like a race. Everyone’s trying to get to the best properties first, and once they get there, it’s a contest of who has the best offer, the most cash, the highest flexibility. If you’re tired of being outbid on every good deal you find, it may be a good idea to shift your investment focus from commercial property, apartments, and houses. Why? Because that’s where many investors direct their attention and funds. Instead of running that rat race, contact Texas Acres and explore our beautiful, owner-financed land. Too many times, buying a home or property can be made more stressful by the obstacles that banks and mortgages put in your path. The combination of rushing paperwork to people who need it and then waiting to see if you are approved can take a significant toll. At Texas Acres, we give you the freedom to search out and invest in a dream piece of land in Texas. Because our land is owner financed, we eliminate the need for banks and make your land buying experience simple and painless. If you want an investment experience where you feel in control, buy land with Texas Acres. You can enjoy peace of mind. Unlike commercial structures or apartments, land doesn’t wear out, get stolen, end up destroyed, and rarely depreciates. It also represents practically endless potential. At Texas Acres, there’s nothing we like more than sitting down with our clients and exploring their visions for their property. By understanding what you want to do with your land, we can find acreage with the perfect features that make your dreams possible. You own a finite resource. Scarcity can be your friend. While most people don’t see vacant land as a valuable resource, it can be a huge asset, especially if you buy land within a path of growth. If you want to hold a piece of land for the long-term and build up your retirement, land can make even more sense than mutual funds, bonds, stocks, and 401Ks. Find the right land with Texas Acres, and you can find yourself set up really well. Our expert team is here to accurately assess your goals, budget, and vision to make sure you find the best fit possible. Feeling confident and knowledgeable about land investment is easier when you have an expert team on your side. Our team is here to provide expertise and passion that helps you move forward. We have a world-class range of Texas properties that are guaranteed to meet your land investment goals. Contact us to start a conversation about your dreams and plans today.